Chefs from 11 states gathered in New Orleans this weekend for a little competition in the kitchen. Each year, chefs from throughout the country serve up their best dish before a live audience - representing their state and their home seafood. Chef Alex Eaton of The Manship from Jackson Mississippi was crowned the 2016-2017 King of American Seafood Saturday. "I actually spent some time cooking in New Orleans so I had to do a shoutout with a BBQ shrimp in the middle," said Eaton. A Sitka chef has been chosen to compete in the 2016 Great American Seafood Cook-Off. On Saturday (08-06-16), Collette Nelson will battle chefs from across the country in front of a live TV audience in New Orleans. She is the owner and executive chef of the Mediterranean-inspired restaurant Ludvig’s Bistro in Sitka. When you think about Florida and the vast culinary scene, you can't help but think about the beautiful bounties we are fortunate to have from our coastal waters. Seafood is big business in Florida, and with so many species to think about, it's hard to pick a favorite. So how does one go about selecting a seafood species to enter into the greatest seafood cooking competition in America? Nick Huckabee sees the honor of competing in the 13th annual Great American Seafood Cook-Off as another way to give Grand Strand chefs more recognition for their role in this area’s culinary, tourism and hospitality industries. Chef Blake Phillips will be participating in the Great American Seafood Cookoff coming up this weekend! He will go head to head with eleven other chefs to claim the title. We will have more tonight on KTVE NBC10 News at 5 and 6, and KARD Fox 14 news at 5:30. BATON ROUGE – Louisiana Lt. Gov. 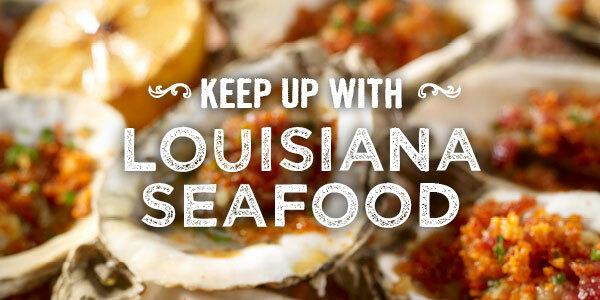 Billy Nungesser and the Louisiana Seafood Promotion and Marketing Board will welcome chefs from across the country to the nation’s ultimate seafood cooking competition at the 2016 Great American Seafood Cook-Off, to be held at the Ernest Morial Convention Center on Aug. 6, 2016, at 11:30 a.m., in front of a live audience. Chef Blake Phillips is cooking up a tasty dish for this year's competition, The Great American Seafood Cook-Off. However, he already holds the title, King of Louisiana Seafood 2016. Phillips is the executive chef at Sage, a restaurant in Monroe known for their farm-fresh, sensational seafood, and New Orleans styled- food. Born and raised in Cottonwood Heights, Logen Crew knew as a child he wanted to be a chef, and for the last 11 years, that’s what he’s been doing. “If I wasn’t a chef, I don’t know what I’d be doing,” he said. Cory Bahr will host the Great American Seafood Cook-Off for his fifth year in row Saturday in New Orleans. On Saturday, August 6, eleven chefs from across the country will compete for the coveted title of America’s Best Seafood Chef. The 2016 Great American Seafood Cook Off will take place at New Orleans’ Ernest Morial Convention Center.